Gabi knows she’s left her heart in the fourteenth century and she persuades Lia to help her to return, even though they know doing so will risk their very lives. When they arrive, weeks have passed and all of Siena longs to celebrate the heroines who turned the tide in the battle against Florence—while the Fiorentini will go to great lengths to see them dead. But Marcello patiently awaits, and Gabi must decide if she’s willing to leave her family behind for good in order to give her heart to him forever. This series of young adult novels enthralled me, and even moreso my daughter, who has read them through four times each within the past two months. The action keeps you turning pages until the very end. The thing I loved the most about these books had to do with the first person viewpoint. Because Gabi, the leading lady, was a modern teen, all of her internal dialogue was in that very modern sarcasm-filled way that young people talk these days – even though she outwardly tries to fit in with the medieval life. Phrases like “ya think,” “duh,” and “hot-as-all-get-out” are delightfully interspersed amongst all the medieval goings-on. Simply wonderful. I recommend this book, not only to young adults, but adults as well – especially if you like a bit of history, medieval warfare, adventure, intrigue, and of course, romance. These books have it all. 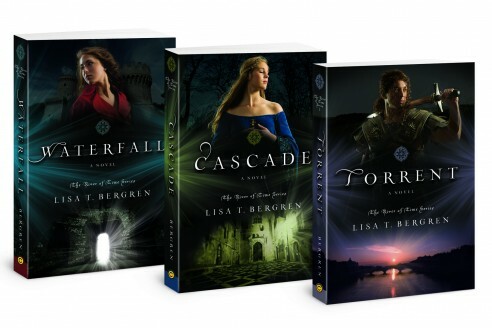 Lisa T. Bergren is the author of over thirty books that have sold more than two million copies combined. 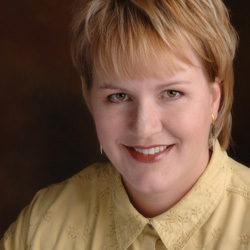 She’s written fiction of all sorts (romance, historical, contemporary, suspense, YA), nonfiction and children’s books. She divides her time between writing, editing, traveling and co-parenting her three children (16, 13, and with her husband, Tim. The Bergrens reside in Colorado Springs, Colorado. The following is an article I wrote for the FaithWriters weekly challenge. The topic was “The pen is mightier than the sword”. 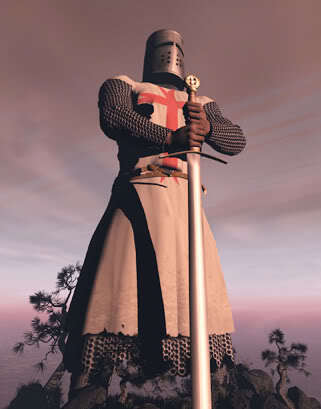 “I bid thee welcome in the name of our Lord, Sir Knight,” the monk allowed the band of foot-sore soldiers to pass. They were shown where they might refresh themselves while the monk went in search of the abbot just come from Vespers. Soon enough they were seated at table and given a hearty meal to sate their growling stomachs. “Doest thou have far to travel, Sir?” A monk sat down beside the knight and proceeded to dip bread into his pottage. Thus, the knight told his tale to the scribe in colourful detail. He told how without reck or rein he forged into the battle lines and slew fifty men without injury to himself, and then escaped in no less than an artful manner. The following morning, as petitioned, the knight sought his monkish friend, who appeared as though he had not slept. “I give thee good morrow, Scribe.” He slapped him on the shoulder. With a suspicious eye, the knight opened the scroll and read the contents with a frown. As his eyes scanned the words, they widened, narrowed and widened again, until he finally looked up at the scribe in astonishment. Last week, in the course of my work as a financial administrator, I stumbled upon a quote from a very old document. By very old, I mean mediveal. 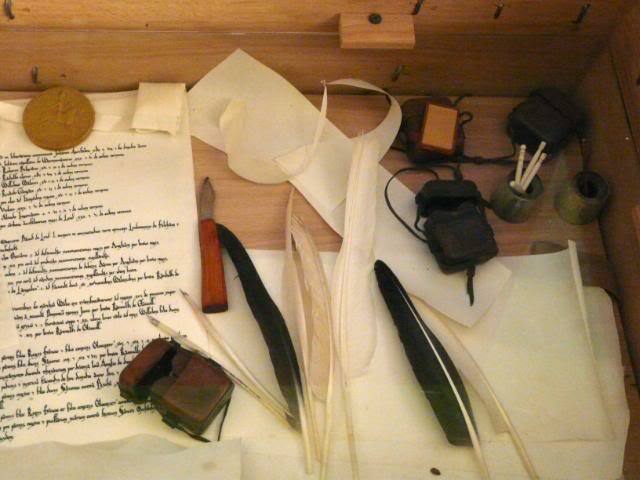 It is the Statute of Charitable Uses Act from 1601, also known as the Statute of Elizabeth. An Acte to redresse the Misemployment of Landes Goodes and Stockes of Money heretofore given to Charitable Uses. Whereas Landes Tenementes Rentes Annuities Profittes Hereditamentes, Goodes Chattels Money and Stockes of Money, have bene heretofore given limitted appointed and assigned, as well by the Queenes most excellent Majestie and her moste noble Progenitors, as by sondrie other well disposed persons, some for Releife of aged impotent and poore people, some for Maintenance of sicke and maymed Souldiers and Marriners, Schooles of Learninge, Free Schooles and Schollers in Universities, some for Repaire of Bridges Portes Havens Causwaies Churches Seabankes and Highwaies, some for Educacion and prefermente of Orphans, some for or towardes Reliefe Stocke or Maintenance of Howses of Correccion, some for Mariages of poore Maides, some for Supportacion Ayde and Helpe of younge tradesmen Handicraftesmen and persons decayed, and others for reliefe or redemption of Prisoners or Captives, and for aide or ease of any poore Inhabitantes concerninge paymente of Fifteenes, setting out of Souldiers and other Taxes. My favourite is ‘Howses of Correccion’. ‘Maymed’ and ‘Schooles of Learninge’, are a close second. Did you also notice how long the sentence is? And it didn’t end there. There was actually a semi-colon where I stopped the quote. I didn’t look far enough down the document to find a full stop. I woulde love to hear your thoughts about this spellinge, but, juste for fun, why not try to reply with an attempt at this verie olde writing style.